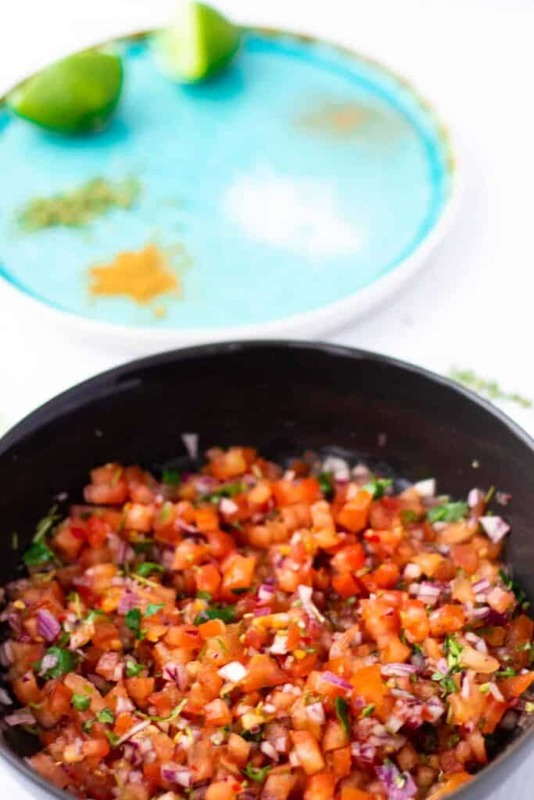 This easy Pico de Gallo Salsa is healthy & packed with flavor – filled with yummy tomatoes, cilantro, lime and just the right amount of spice. Use it for tacos, fish, meat, for tortilla chips or to top a salad – either way, it’s delicious! Looking for a different kind of salsa? Check out this even quicker Ginger Avocado Salsa. 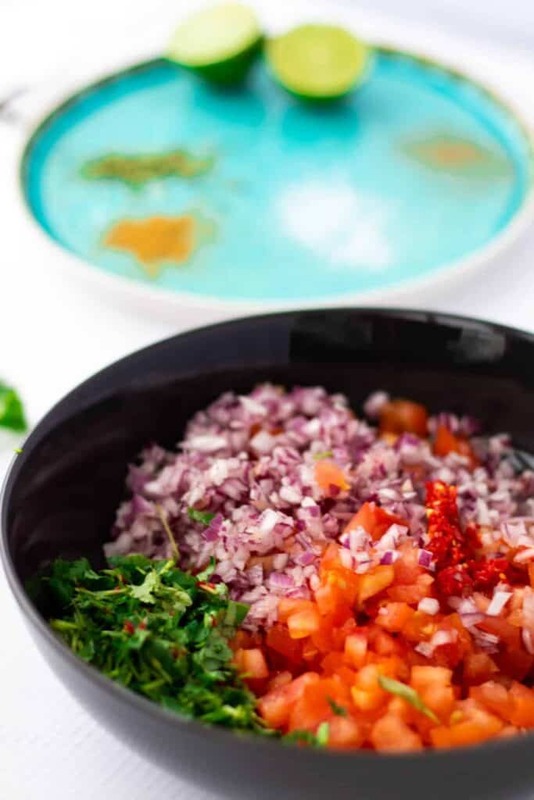 Probably the most common sauce in Mexican cuisine, Pico de Gallo is the delicious salsa so often served with basically anything at your favorite Mexican restaurant. Spicy and delicious it’s such a staple, but depending on where in the world you had it, you might not even know its name. I’ve been in love with Mexican food since I was a kid – but actually didn’t hear about Pico de Gallo until about seven years ago (and in Singapore of all places??). However, I then realized it was the same delicious sauce I’d loved since I was maybe three (yes, I loved my spice even then!). But that version was just called “salsa”. But enough about my childhood memories – and over to the Pico de Gallo. Pico de Gallo is basically a cold salsa. Aren’t all salsas cold? You might ask. And yes, while they’re mostly served this way, as a cold sauce, the big difference lies in whether the salsa has been cooked or not. Those smooth canned salsas? Yeah, they’ve been cooked. And delicious as they might be and as satisfying as it is to dip your tortilla chips into all that saucy goodness, my favorite is the non-cooked variety. Like the Pico de Gallo. 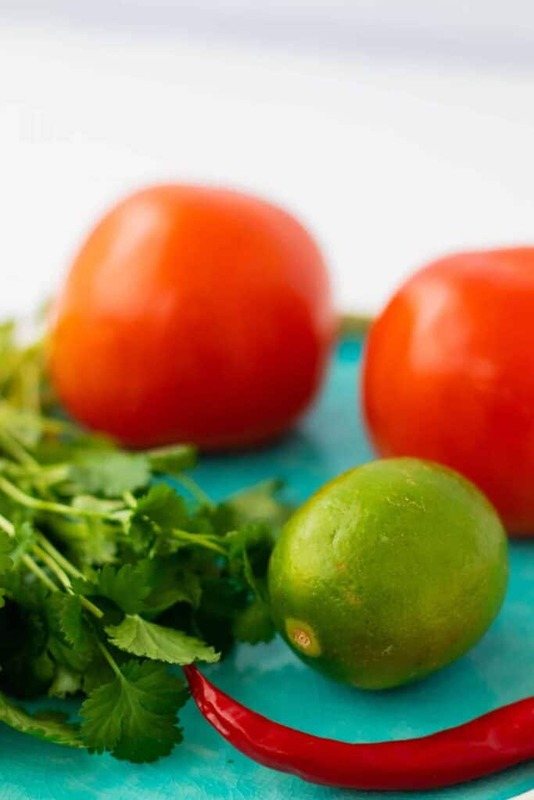 Pico de Gallo is made from all raw and finely chopped ingredients – generally tomatoes, onion, cilantro and chili, seasoned with lime juice, salt, pepper, and maybe some other spices like oregano and cumin. I say finely chopped, but what that means is really up to the salsa maker. Some chop everything into extremely tiny pieces, others leave it more rough. I go somewhere in the middle – leaving the tomatoes a little bit larger than the onions, but still quite small. Now I know you’re wondering about the name. Pico de Gallo? Rooster’s beak is the English translation, and supposedly aptly name for the spice of the salsa resembling the prick of a rooster’s beak. I think I’m sticking with the Spanish name though, and I do love the story behind it! Is Pico de Gallo Healthy? 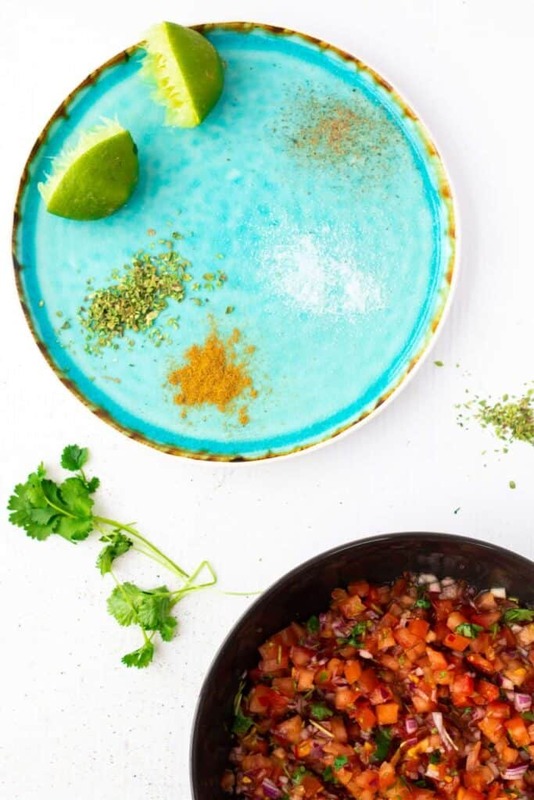 Pico de Gallo is one of those wonderful sauces that’s so delicious you’d want to have it with everything, yet super healthy – so you actually can! I mean – all fresh tomatoes, onions and herbs, topped with lime juice? It’s basically a veggie juice in a more exciting format! To make sure you get the most nutrients and the least chemicals, go for organic tomatoes. Tomatoes are after all on the “dirty dozen” list and a lot of pesticides are used to grow them – so for these the organic choice can actually be worth the money. What is Pico de Gallo used for? Pico de Gallo is one of my favorite sauces not only for its healthiness, but also for its versatility. While commonly served with Mexican food like tacos, enchiladas or tortilla chips it can also be used to put a spicy spin on other dishes. 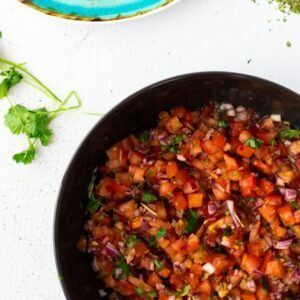 Grilled fish like Tuna or Swordfish are a favorite, but this salsa also loves meat and topping a grilled steak with it might be one of the best things ever. And why not use it to top a salad? Making Pico de Gallo is super quick & easy, with the only slightly annoying part being all the chopping. So grab a good knife, maybe even sharpen it up a bit extra, and that’s really all you’re gonna need. Now to make the whole process a bit easier I always make sure the tomatoes I get are nice and firm. 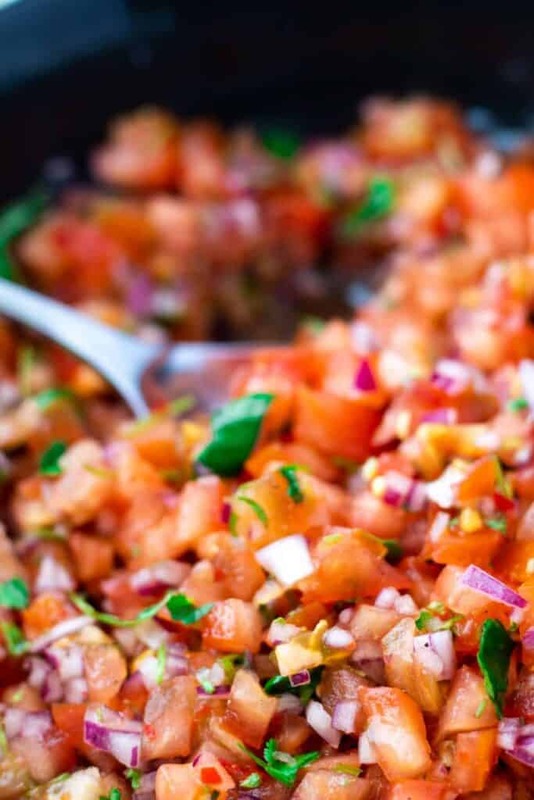 While over-ripe tomatoes are perfect for making cooked salsa, Pico de Gallo really works best with the firmer kind. Otherwise you might end up with more of a tomato mush than nice little tomato dices, no matter how good your knife skills are! As I mentioned, you can choose yourself how coarse you want your Pico de Gallo to turn out. I do however suggest to keep the onion pieces as small a possible and save your artistic choices for the tomatoes – no one likes biting into a big piece of onion, right?! 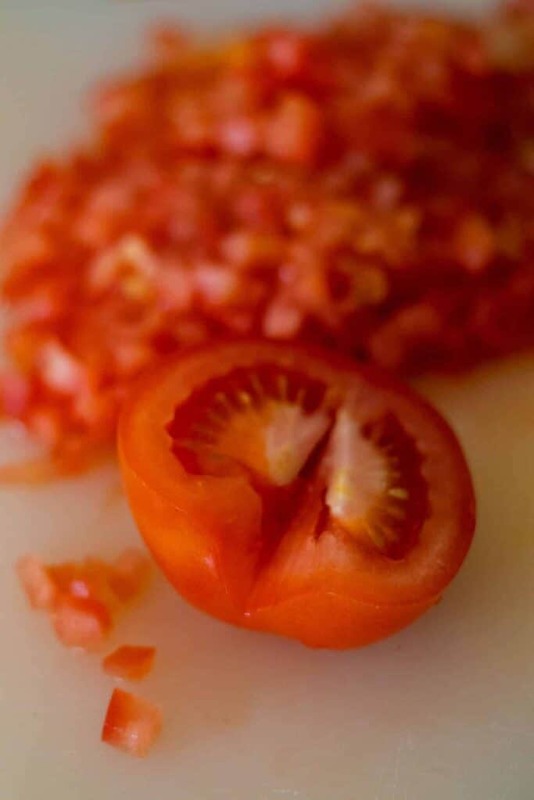 As for the tomatoes, I always remove the tough part at the center – I really don’t like biting into it so I just take it out before chopping. Not really necessary but it does make it a bit more restaurant worthy! After chopping up your tomatoes and onion, get out your chili. Now I use red serrano peppers for this, but you can also use jalapeño or habanero. Just be careful with the heat! I adjust the heat by only using a part of the seeds. With the red serrano peppers, about half of the seeds make the salsa just the right amount of spicy for most of my friends. But if I make it for myself I might go ahead and add in all of them. I suggest to add part of them first, and then once it’s been sitting for a while you taste test and add some more seeds if you like it spicier. Always easier to add spice than to remove it… Also, if you’re making it well in advance (it just makes it more delicious!) I suggest taking it easy on the spice and then adding more if needed just before serving. OK, over to the rest of the seasoning. After adding in the chopped chili and maybe some of the seeds (also chopped! ), here comes the cilantro and lime. Top with a few dashes of cumin, some oregano, and some fresh ground black pepper. Then add some salt, mix well, and taste test. Take it easy on the salt here – the saltiness will also increase as the dish sits. Now for the seasoning in general, the whole point of letting the salsa rest for a while before eating is that the flavors will mingle together and become stronger. So it should be a bit weak in taste right now. Just set it aside, and try it again just before serving. If needed, add some more spice and salt then. I usually end up adding a few more dashes of salt, but not much more. Chop the tomatoes and red onion into small pieces. Place in a bowl with room for mixing. Remove the seeds from the chili and chop it. Include as many seeds as you like, for your desired spice level. Set the rest of the seeds aside in case you wish to add more spice. Add to the bowl. Chop the cilantro and add to the bowl. Squeeze over the lime juice and season with oregano and cumin. Taste test, adjust seasoning if needed and season with salt and fresh ground black pepper to taste. Set aside for 30 minutes or longer. Just before serving, taste test again and adjust seasoning accordingly. Serve with chips, tacos, as a sauce for fish or meat or use to top a salad. Instead of serrano peppers you can use jalapeños or habanero, or another kind of chili. Just adjust the amount accordingly to your level of spiciness. Adjust the spiciness accordingly – I use half of the seeds from serrano peppers but depending on how spicy you like it and how spicy your peppers are you will might need to adjust this. I just got so hungry looking at these photos and reading your recipe, it sounds delicious and easy to make! I love all the color too, I love how pretty it looks in the bowl. That’s what I’m going for – happy it worked! 😉 Thank you so much for commenting! Oh wow this recipe looks stunning! I’ve been meaning to try to find a fantastic salsa, and this one looks perfect! It’s hard to find a good recipe on Pico De Gallo. In fact, this would have been perfect for the Super Bowl yesterday! The one I had yesterday wasn’t all that great, lol. It is, isn’t it? Sorry, should have published it earlier! 😉 Thanks for commenting! 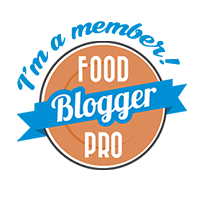 This is so fresh and the perfect appetizer / taco topping!! I could eat this with a spoon- and have! Pico de Gallo is one of life’s little pleasures, isn’t it? I just love the freshness it adds. And eating it out of the bowl…. It sure is! Love that I’m apparently not the only one eating it straight out of the bowl… Thank you for commenting! So delicious. Combination a lot of vegetable and fruit, this like healthy food. Fantastic. pico de gallo is so delicious. i like to just eat it with a spoon sometimes LOL! it’s great on this carnitas I make too. Great recipe! Haha same here Danielle! But it’s good for you so why not?! Thank you for commenting! gorgeous photography! That blue plate is stunning with the pico. I love pico de gallo. So healthy and easy to put together. Reminds me of summer!! We absolutely love fresh salsa in our house. I love making it year-round and this version looks delicious! Same here! Love that it’s also healthy?! Thank you for commenting! My grandma used to make Pico de Gallo at home. I’m sure that will be flavorful and yummy! Oh that’s nice! Thank you for commenting! Yummy Yummy Yummy, i can’t wait to try this out. It must be really delicious. Wow, that sauce is so appetizing! I would definitely try this out. It will surely taste good with my chips. All these wonderful flavors in one salsa! Perfect for family movie nights! So delicious! In a word – delicious. If you like Mexican food, this is for you. I used to live in CA I miss the food there! This recipe is perfect, I didn’t change a thing. I let it set for a few hours to let the flavors blend together and it was so good. Thank you so much Mahy! Happy you liked it! 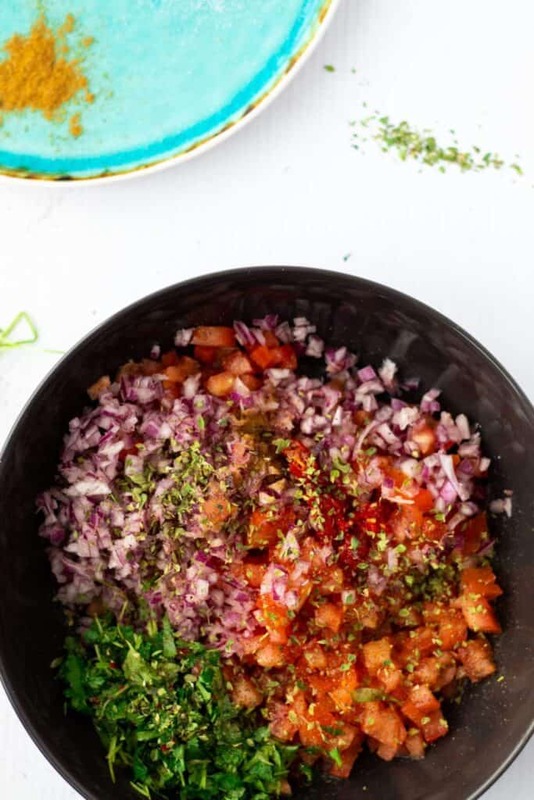 ihavenever tried pico de gallo but looking at this blog post makes me wanna try it and cook it on my own! Thank you Rebecca! Try it, so yummyyy! This sauce looks so delicious, i will definitely try this for my salty snacks. Love it! Wow that looks bomb! Can’t believe you made that, almost looks too pretty to eat. But I want some actually. I am addicted to your recipes. All of them look so incredible. I was looking for a snack to make for the Daytona 500 so maybe I’ll give this a try! My youngest is obsessed with tomatoes. I’m a Tex-Mex at heart! Loved the added photos thank goodness I just had lunch otherwise I would be hungry. Haha love it! Thanks for commenting! I love a good pico! I will definitely be giving your recipe a try. It looks perfect! As much as I love pics de gallo, I’ve never tried to make it at home. I can’t wait to try this recipe! My fiance would love this! She is a tomato everything fan for sure. Oh wow, this looks delightful and tasty. My husband would absolutely love this. I have to try making this. This looks really delicious. Can’t wait to try it out. Thanks for sharing. 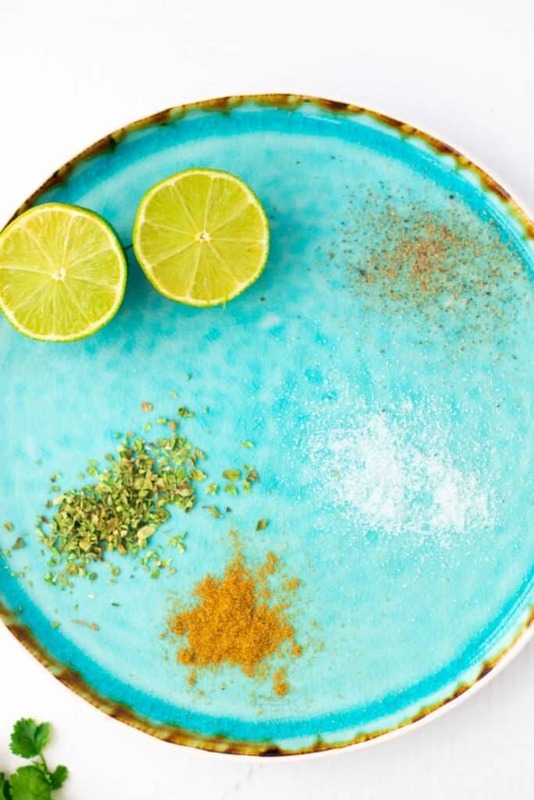 This recipe looks so yummy, delicious and healthy to eat. So easy to make. Thanks for sharing. Thank you for commenting Corina! Looks yummy, thanks for sharing this recipe. I love tomatoes, I’m going to cook it for sure. Thank you for commenting Shweta!! 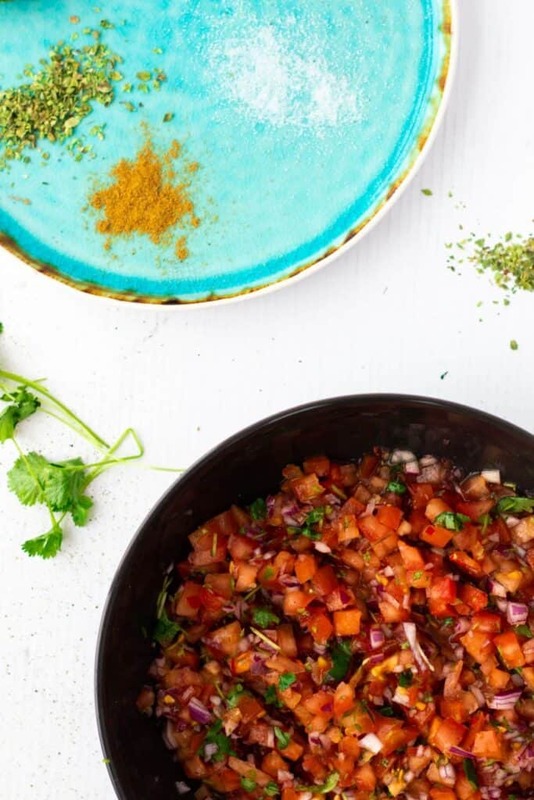 This pico de gallo salsa looks so fresh! Will need to make it to top ny burrito bowls! Sounds so delicious and would love to try this dish. Thanks for sharing such a yummy recipe. As a vegetarian Pico de Gallo goes with many of my meals and tastes delicious. I love it with a good quesadilla. Oh yes would be so awesome with quesadillas, thanks for the tip! Pico is one of my favorite no-guilt things to eat! It’s even better when made fresh, or with ingredients fresh from my garden. Your spin on it looks absolutely delicious. Thank you Kisha! 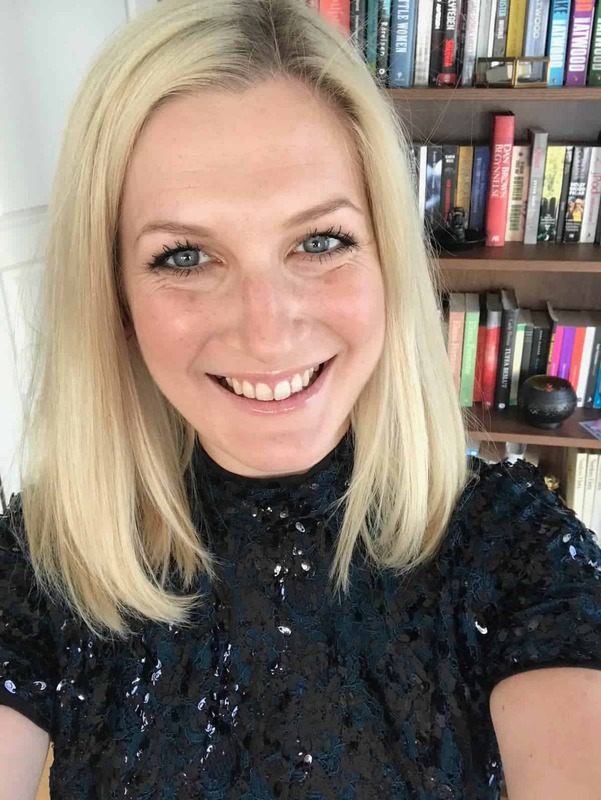 Totally with you – can’t really believe it’s actually guilt-free? ?